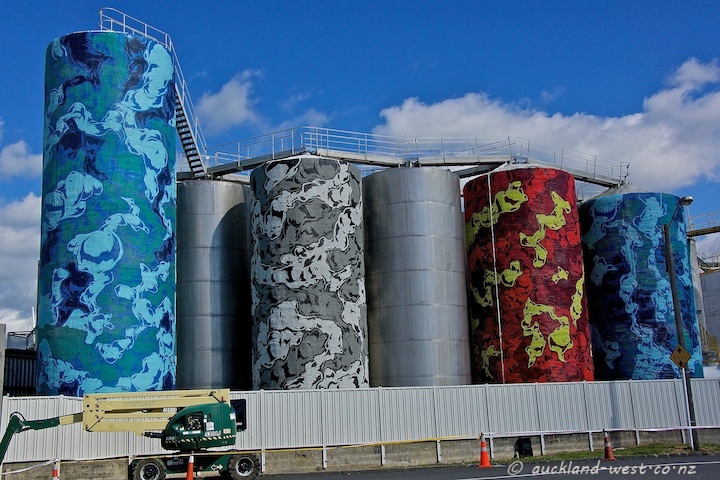 Auckland’s tank farm in the Wynyard Quarter is a photographer’s delight (here and here and here and here and …), but there are good reasons why prime waterfront land should not be wasted on hazardous goods storage. But while we have the tanks (and that won’t be forever) we might as well decorate them. 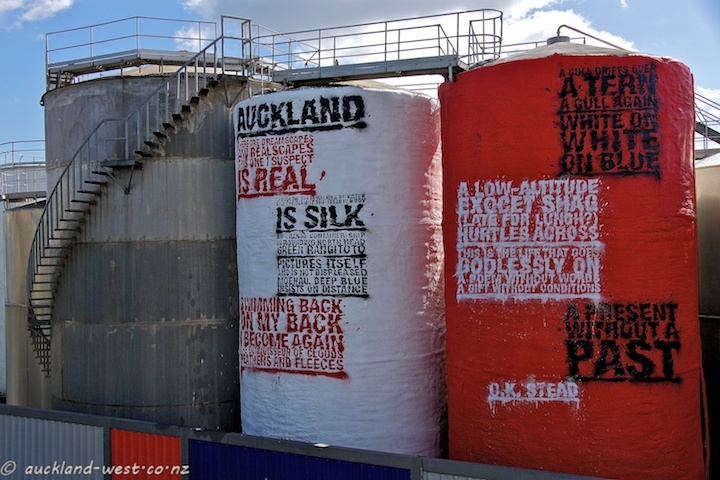 The Auckland art writer Hamish Keith is the driving force behind the Tank Art Project, in which five artists will liven the area up. The first of the five is Askew One (Elliot O’Donnell), four more are yet to be nominated. Askew One is a renowned graffiti artist, and his artwork on the tanks is inspired by C.K. 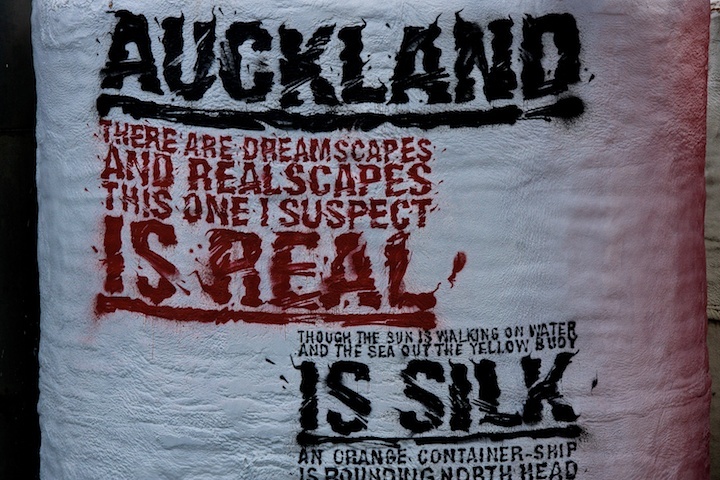 Stead‘s poem Auckland. Two more tanks, hidden from view in these pictures were unfinished when I took these shots. It will be interesting to see the whole project evolve. C.K. Stead’s poem was originally published in the volume The Black River (2007), and is also contained in his Collected Poems 1951-2006. Paul, what a magnificent poem Thanks for transcribing it for us since the original on the tank isn’t easy to read. I love this art project, thanks for reporting about it. understanding something entirely, except this post presents pleasant understanding yet.